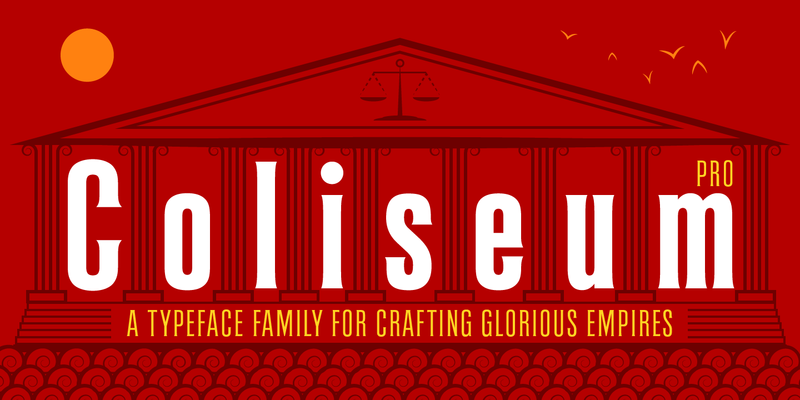 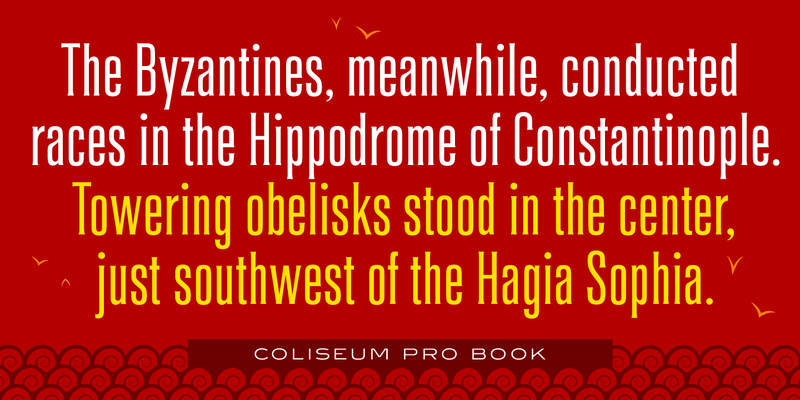 Coliseum Pro is a five-weight compressed spur serif font family. 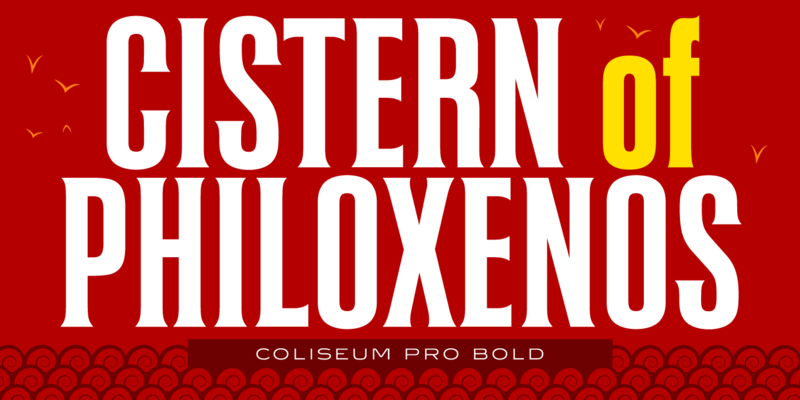 ITF’s original three-weight Coliseum family, released in 1992, was designed exclusively for the Red Rooster Collection by Julie Hopwood and Pat Hickson. 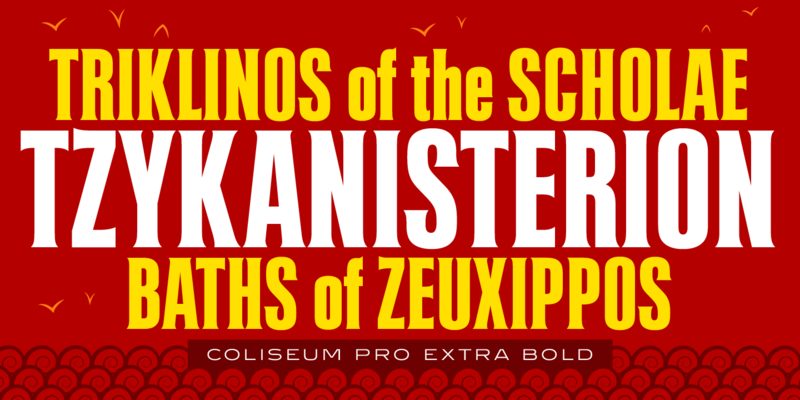 Steve Jackaman (ITF) completely redesigned, redrew, and refined the Coliseum family in 2017, and two additional lighter weights emerged: Light and Book. Coliseum Pro is inspired by Roman display typefaces, and is powerful and eye-catching at any size. 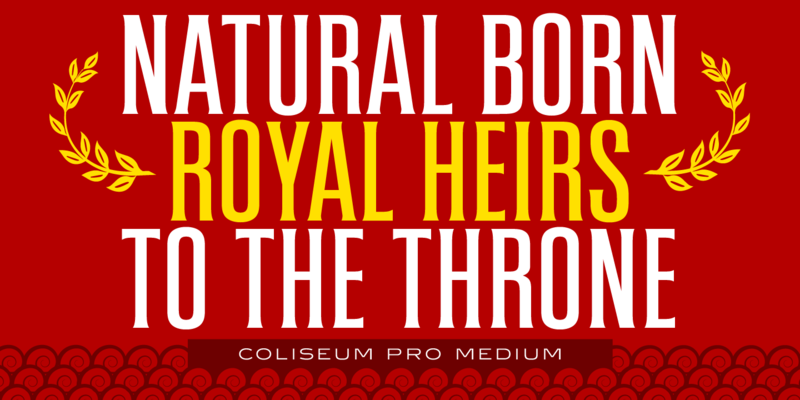 Two sister typefaces, Clydesdale and Torpedo, were born from Coliseum’s redesign. 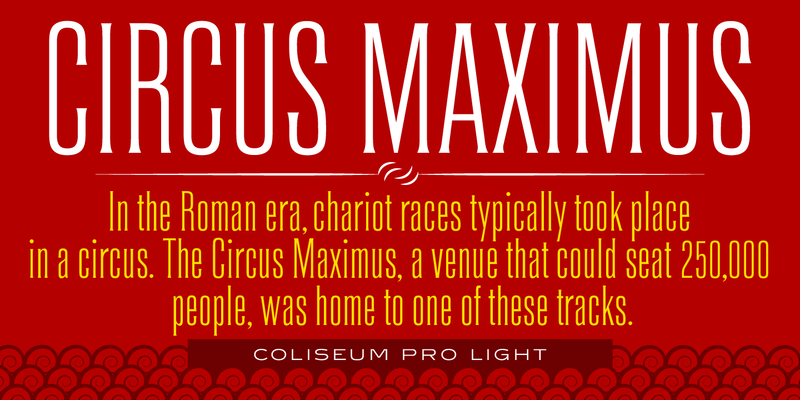 Coliseum Pro is a trademark of International TypeFounders, Inc.
©1992, 2017. International TypeFounders, Inc.